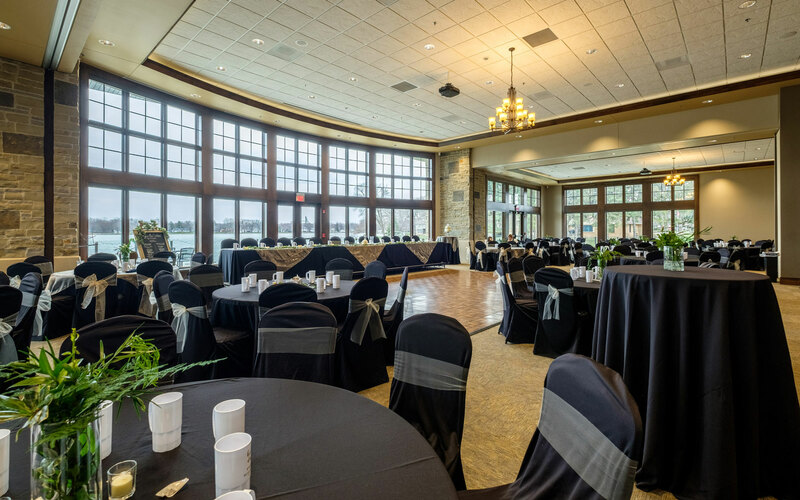 The Lakeview ballroom is perfect for your next elaborate celebration with 2/3 of the room surrounded by large windows providing a spectacular view of beautiful Five Island Lake and Golf Course. The dimensions are 100′ x 44’2″ with a square footage of 4,331. The room has a seating capacity of 288 banquet style (5 foot round tables seating 8 people) or 400 for theater style or large keynote speaker presentations. 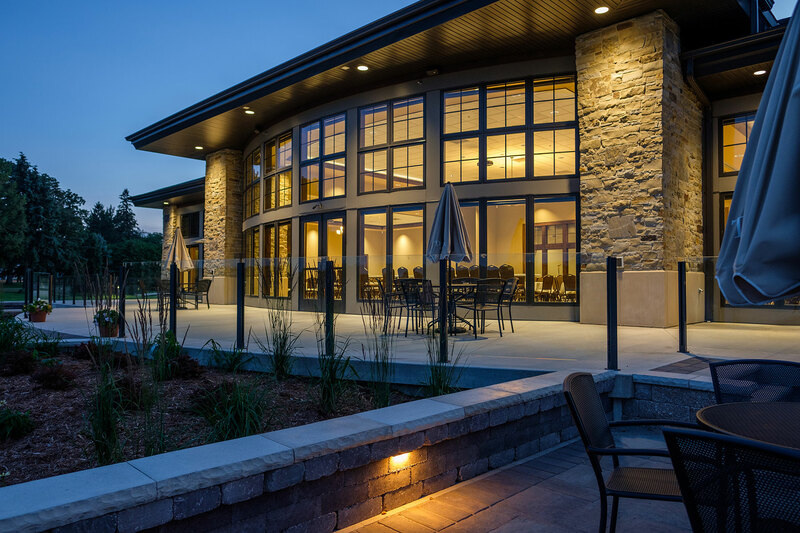 Guests renting The Lakeview Ballroom will also enjoy complimentary use of the lakeside veranda for their function. Guests may access the veranda from 3 different locations inside the ballroom. 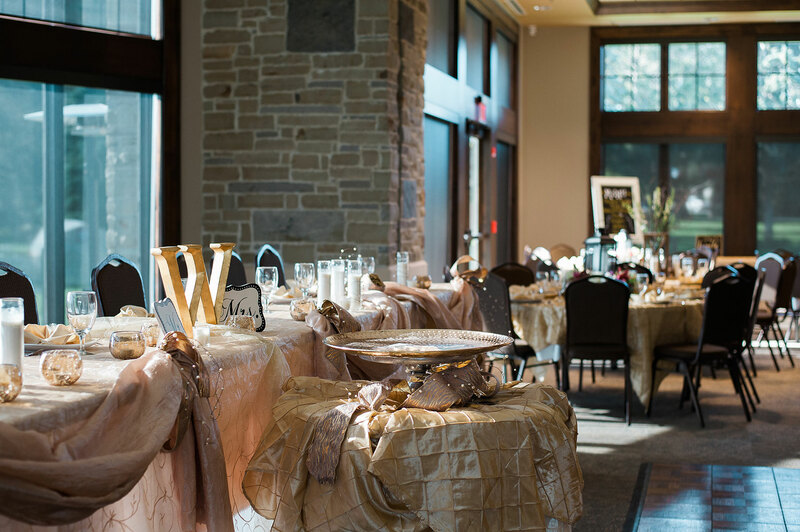 The perfect venue for your perfect wedding!